Sticks and canes shown on this site are only examples of the types of items that are available, as Paul’s supply changes continually. You can use them to let him know your preference for stick type, color and design. 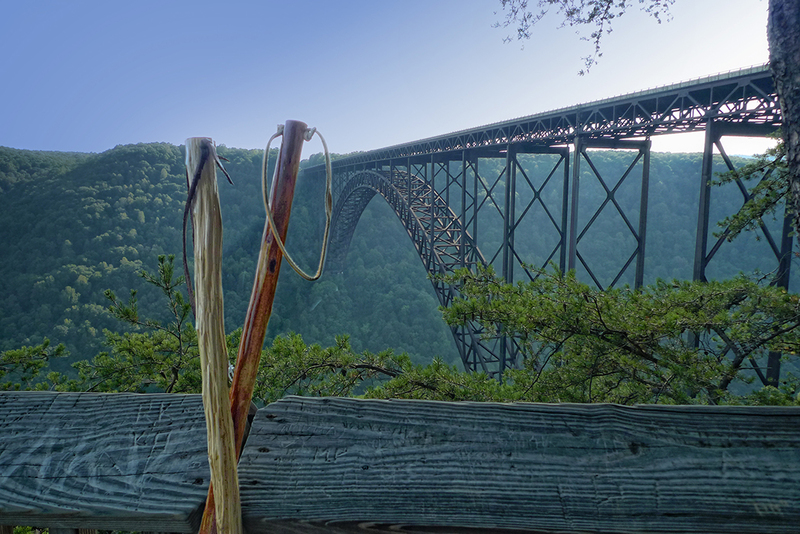 All of my sticks and canes are created from trees found in West Virginia, including beech, crabapple, dogwood, maple, oak, pine, poplar, sassafras and sourwood. The grooves created by honeysuckle vines growing on the tree give each stick its own unique character. Some sticks are straighter than others. Colors will vary, depending on the tree. 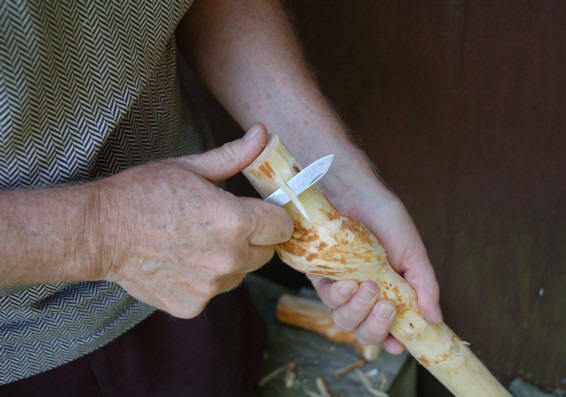 Each stick or cane is tipped with rubber and includes a leather strap. I coat all of my sticks and canes with clear polyurethane to protect and preserve their natural beauty. Designs include flowering vines, wildlife and American flags, as well as your name or initials. Contact me about the possibilities! I will size a stick or cane according to your height. 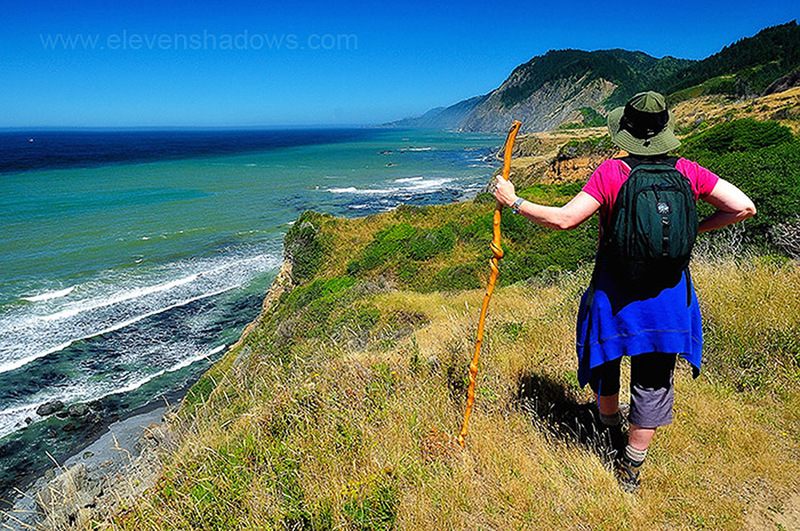 An uncut walking stick is typically 5 feet tall.